The arrival of guests chez nous today has given me a good excuse to do some baking. Hub and I have been trying to cut down a bit on indulgences recently so I have not been baking as frequently as I used to. But it is always nice to be able to offer home-cooked goodies to family and friends, isn’t it. 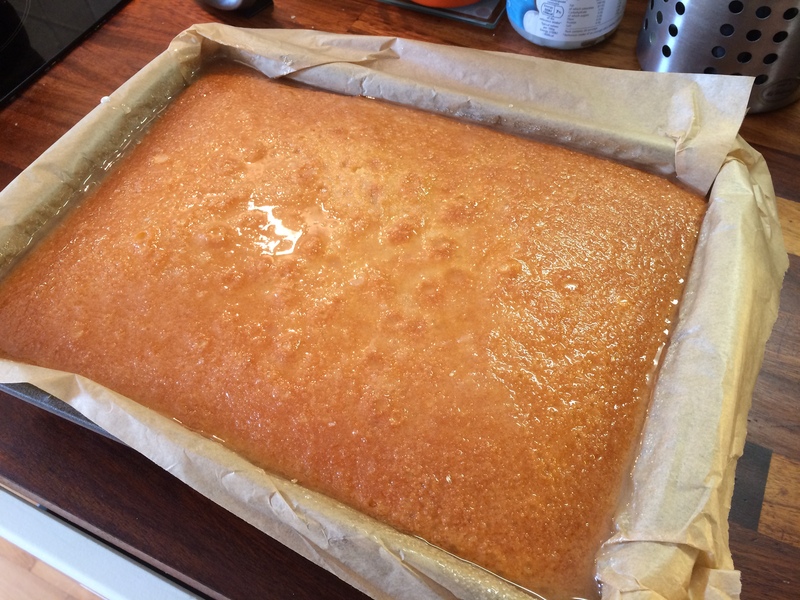 Here is my freshly-glazed lemon drizzle cake – yum! I used Mary Berry’s very reliable recipe, with which I always get good results.